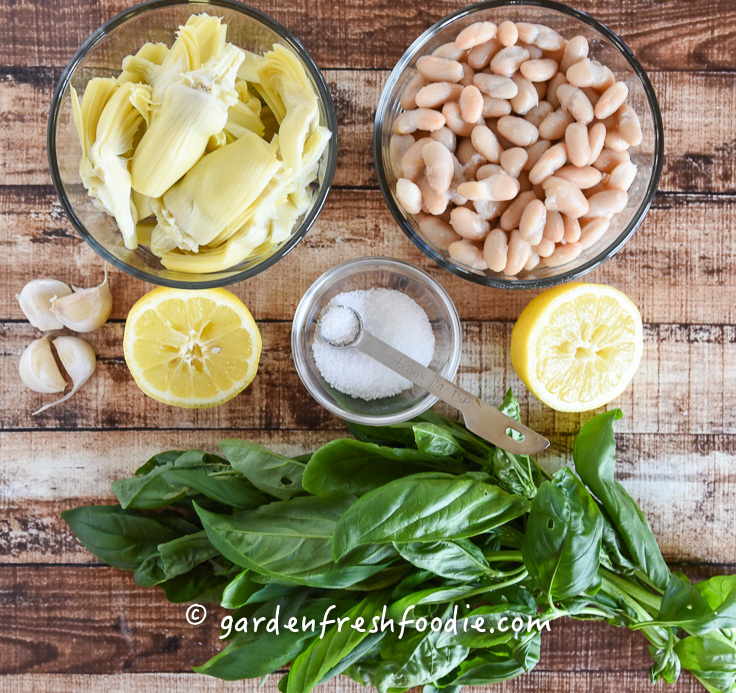 Before all of the veggies are gone from the garden, before the basil has died back-you MUST make this easy appetizer! This white bean and artichoke dip will become your go-to party favorite because it’s so fast and easy to make, as well as being healthy enough to become a sandwich the next day (if there are any leftovers!). 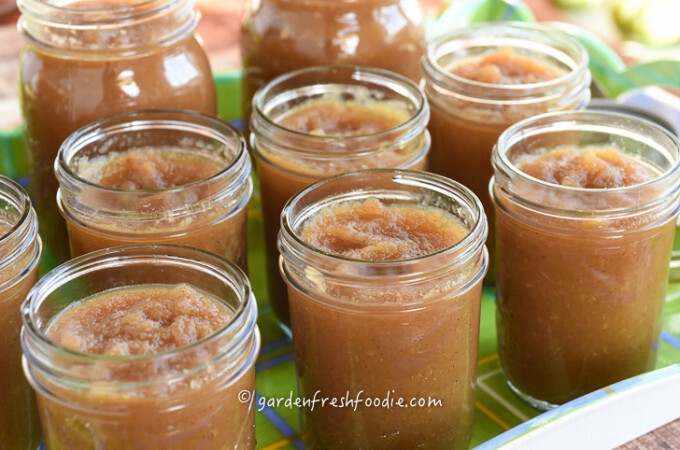 This recipe was originally given to me by one of my dear friends (shout out to Sharon!). The recipe originally called for oil. I said no, no, no. I played around with it, and cut the oil out completely (as I always do) and upped the lemon juice. Nothing here really needs to be measured. You can go solely on taste. Start with a little less lemon juice, and add based on preference. The best is that this all just gets dumped into a blender or food processor, whirled around, and it’s ready to serve! I love it topped with fresh basil (if you blend the basil your dip will turn green) or use parsley if you don’t have any basil. Dill could also work in this. 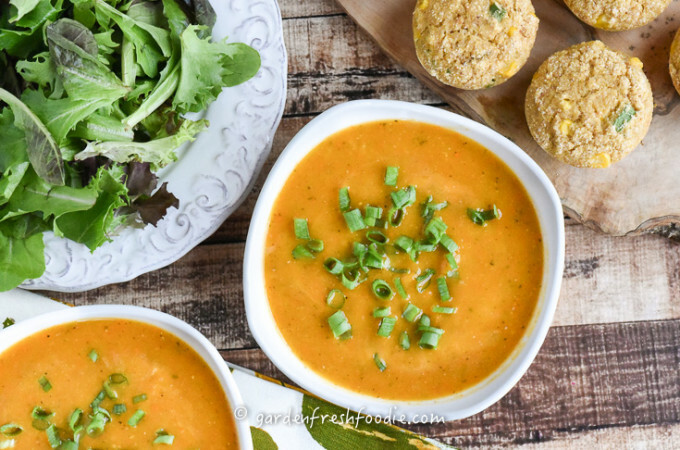 The benefits of this recipe are that it is heart healthy and diabetic friendly! Beans are packed with plant-based protein and fiber. They have magnesium, potassium, no cholesterol, and are virtually fat free (no saturated fat), so they’re great for heart health! The fiber in them makes them great for helping to regulate blood sugar and keep you satiated It’s so low in calories, you could eat the whole thing yourself! You can freeze this dip, just like hummus, so that you can have it on hand when you don’t feel like cracking out the blender or food processor (however, it literally takes 1 minutes to make). There is NO cutting required, so this is a real time saver! 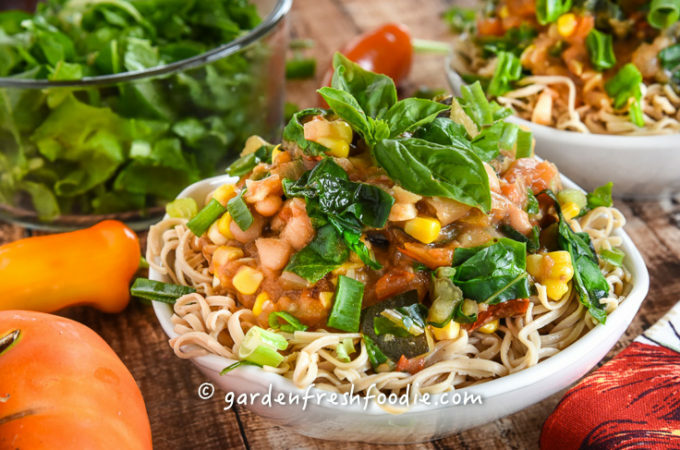 Place all ingredients into a food processor or blender, except for basil. Blend. Cover and set for a few hrs. Top with basil (chopped) or as you like for presentation. 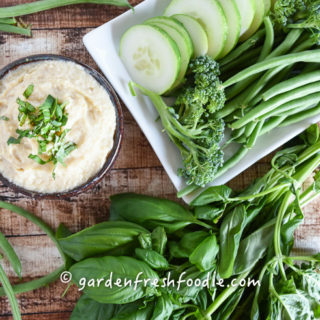 Or use the white bean and artichoke dip as a stuffing for banana peppers! Looking for a fast, healthy appetizer for game day this weekend? Make this simple white bean and artichoke dip. 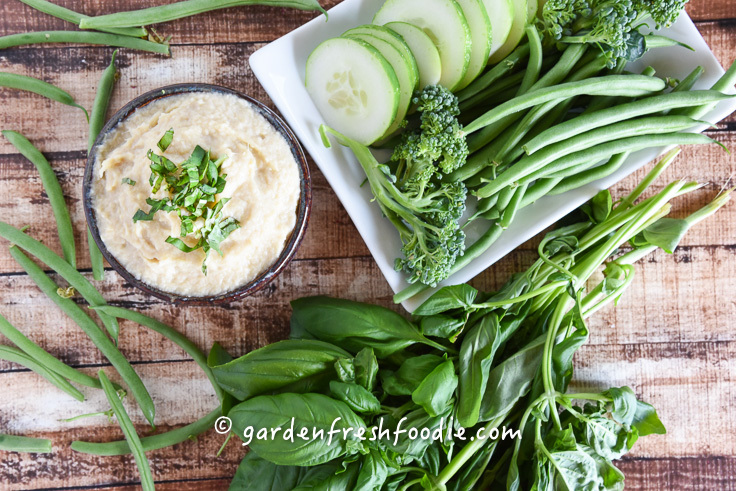 Less than 5 ingredients, it makes a great dip or sandwich spread for the week! Oil Free! I saw the picture in the casserole dish and wondered if that was baked in the oven or is it still a cold dish? This is a cold dish! No cooking required 🙂 You can bake it if you wish. 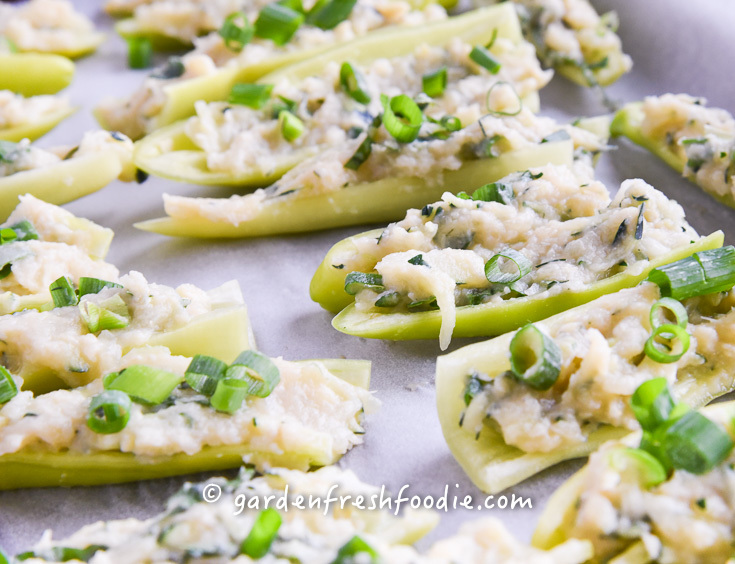 I have a spinach and artichoke dip on my site that is baked. Hope you like it!